Ristorante Fiore- North End- I went to this restaurant with a friend from college who I hadn’t since graduation. The restaurant has a rooftop patio where you can get a drink with friends before dinner. We went during restaurant week, which was a bargain. The daily risotto is one of their signature items and I suggest it if the flavors are what you’re looking for. The menu changes based on the season and it is definitely a great spot if you are overwhelmed in the North End. 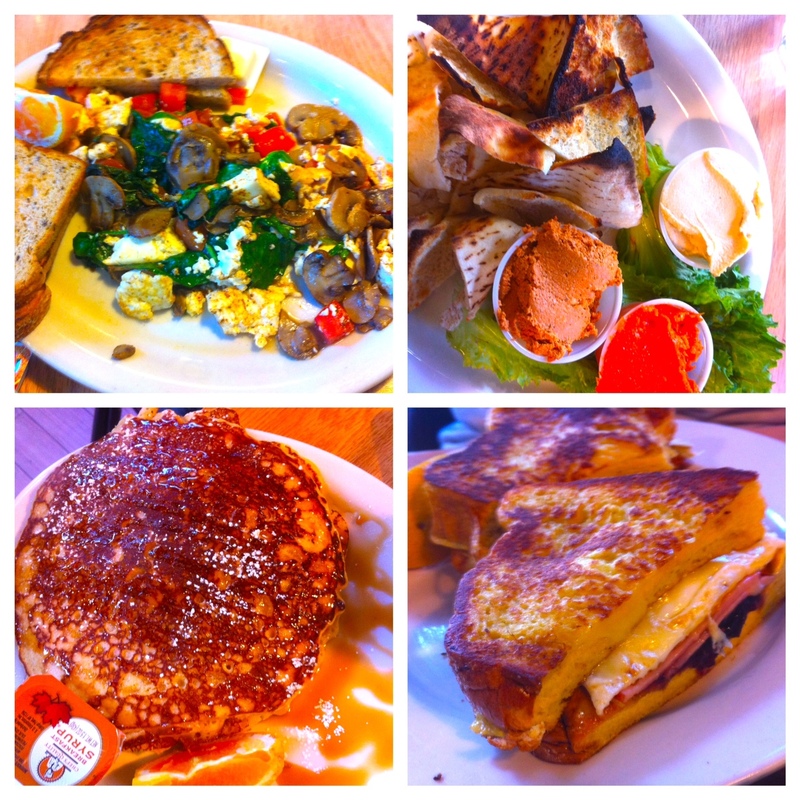 Sweet Cheeks Q– Fenway- Sweet Cheeks is owned and operated by Top Chef winner Tiffani Faison. I happen to be a big Top Chef fan so I was pretty excited when her restaurant was located around the corner from the “office”. Sweet Cheeks is another late-night option after a game. Their biscuits are to die for. Order them. Thank me, and Adair Bard who recommend them, later. 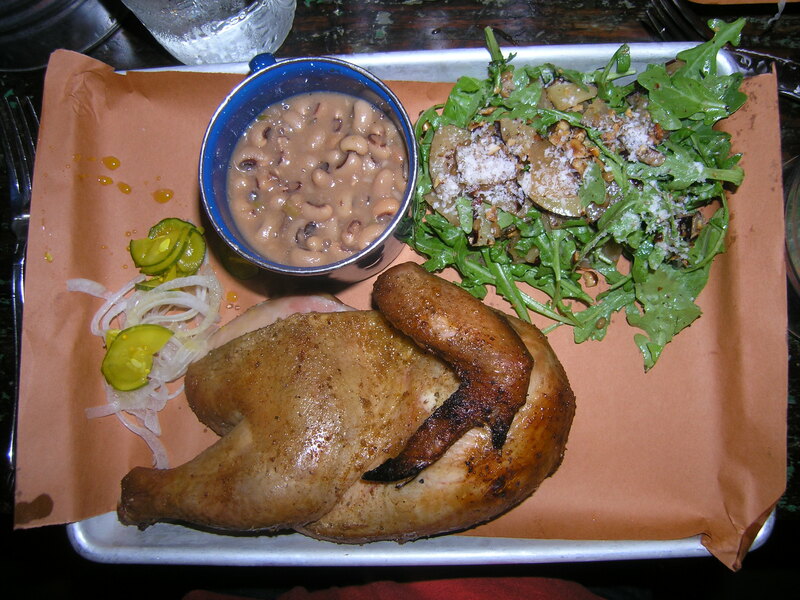 I always order the half chicken entrée with the farm salad and the black-eyed peas. It’s the juiciest white meat chicken I’ve ever had. Ryan was less happy with the brisket, very very happy with the pulled pork. The restaurant doesn’t have a freezer, so you know you are eating fresh stuff. 29 Newbury- Back Bay- 29 Newbury serves modern American cuisine. I wouldn’t say that any of the menu items will blow you away with creativity, but they will blow you away with perfectly executed cooking. We went for a late dinner and ordered a bunch of appetizers. The calamari was crispy and served with a spicy ancho-aioli. The mussels were buttery and tender. The lobster salad- well that was nearly to die for. Avocado, creamy white beans, and juicy tomatoes atop mixed greens; served with tender lobster meat and zesty lemon vinaigrette. Trident Booksellers– Newbury Street– I saw the Trident Bookstore on one of my first trips to Newbury. It reminded me of a great restaurant in DC, which also was housed in a bookstore. What could be better than the smell of paperbacks and the smell of pancakes? The menu has a variety of dishes for such a small restaurant, everything from huevos rancheros to tofu scrambles; banana cream pie stuff pancakes to lunch items like cashew chili, mac and cheese, or buffalo quesadillas. I could eat here a million times to experience the menu and the atmosphere. 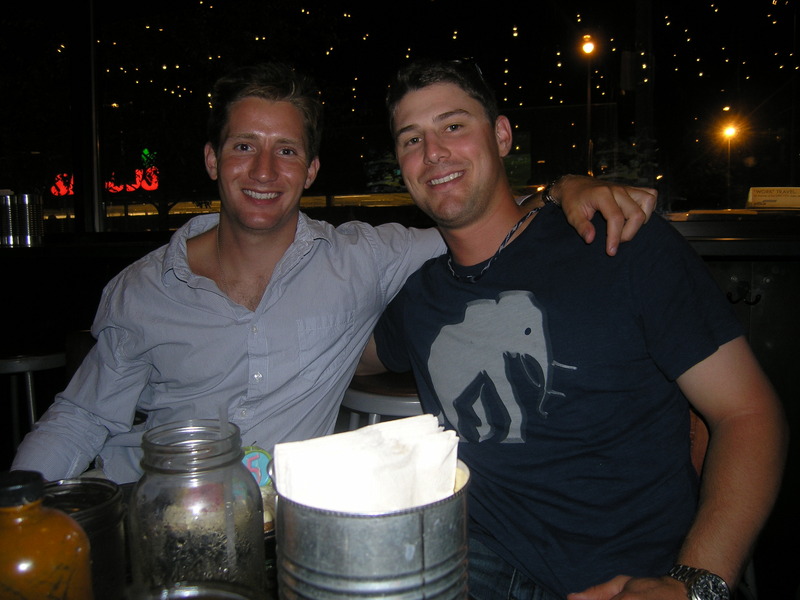 Strega- Waterfront- Strega was recommended to us by a bunch of the baseball couples. It’s high end Italian that you can find either in the North End or on the waterfront. We chose the waterfront location during the summer to feel like we were escaping the city a little. We didn’t order too much, but the Caesar salad was classically made and perfect. The lobster ravioli is plate-licking delicious… literally. The serving size is a little small though, so order a round or two for the table to start or a salad to accompany your meal. I’d love to go back with a bigger group to try more on the menu.